Leopallooza is an annual outdoor event held in a wooded valley near the North Cornish coast run by a close group of friends. The site is permanent and always evolving with wooden structures making up the arena field. It started as a free houseparty in a field and although a lot more organised and sober now, we hope it still has the feel and ethos of the first. This has to be one of my all time favourite projects! I love 3D design, so this was the perfect project! 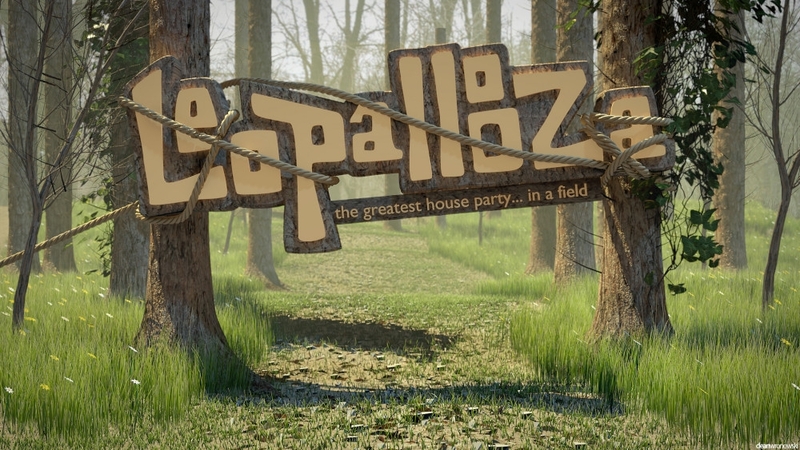 The brief for this project was to design a series of 3D wallpapers that suited the amazing festival Leopallooza near North Cornish Cost. It had to sunny, it had to be all colorful, but most of all, it had to look awesome!